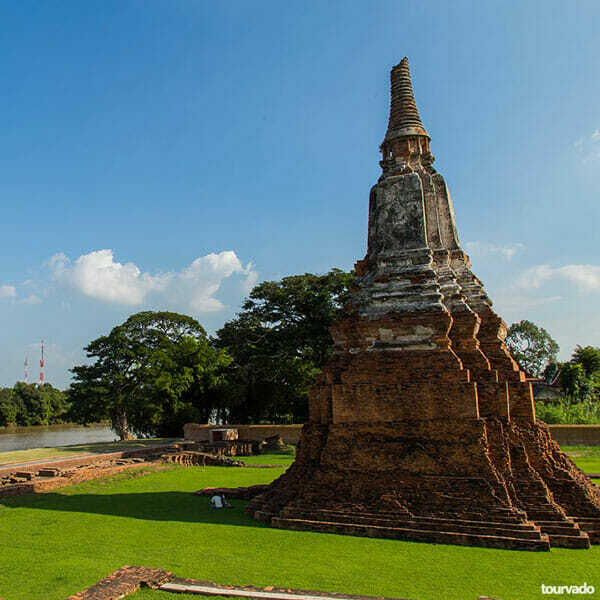 Your Ayutthaya River Cruise Day Tour starts with a Pick up from your hotel to go to check-in at the River City Shopping Complex, Si Phraya, from here we will depart by coach (minivan) to arrive first in Ayutthaya at the Bang Pa-In Summer Palace. 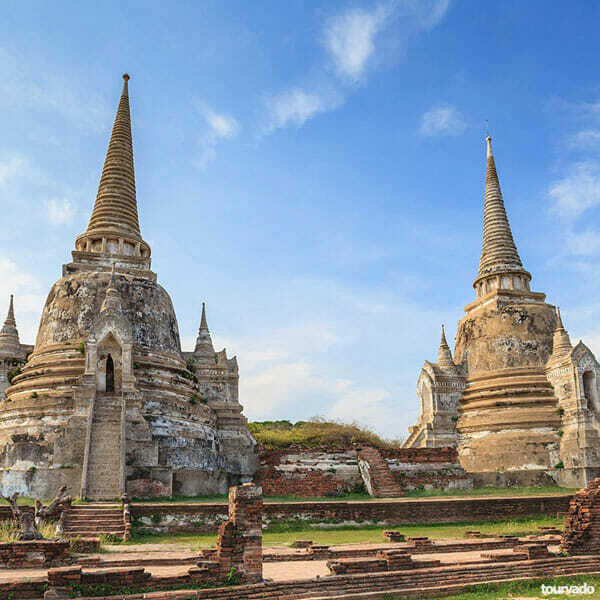 This ancient Palace was built during the Ayutthaya era and still now showcases an eclectic collection of group buildings blending a mix of European, Khmer, Thai and Chinese architectural styles. 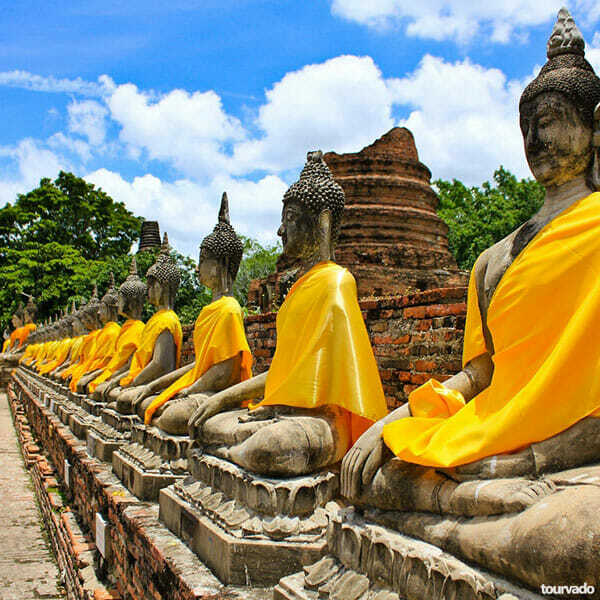 We visit also the Wat Maha That ( Over 600 years old ); Wat Maha That was always the true heart and soul of all Ayutthaya people. 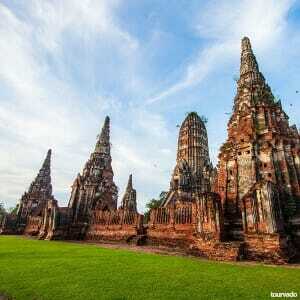 It has been completely destroyed by the Burmese during the fa,ous Thai-Burmese War. 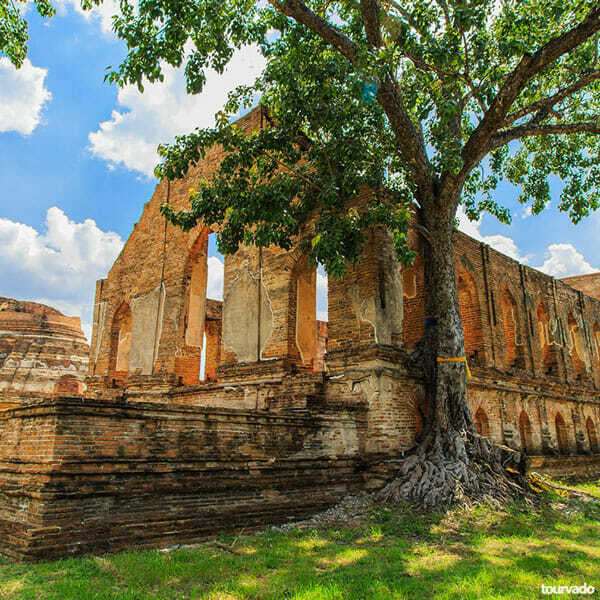 Remains in perfect condition the Palace of Wat Na Phra Mane as it was used during the war as the Burmese military headquarters. 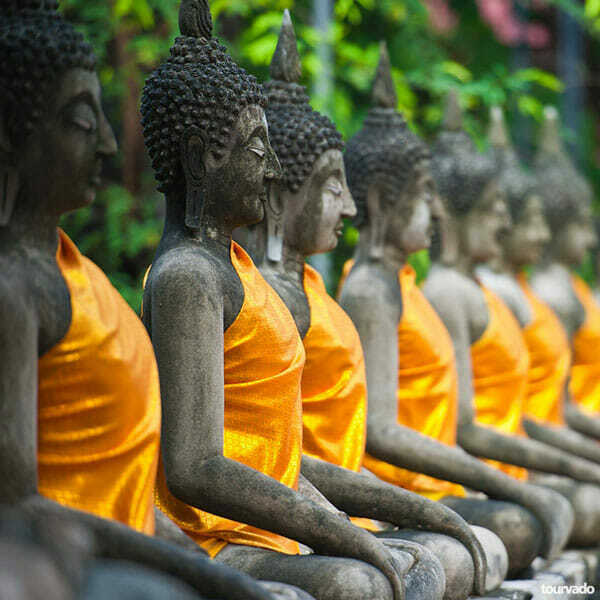 Placed in the temple along with a three thousand years old Buddhas all green stone carved you will see the splendid Golden Buddha which is dressed in regal fashion; this are nowaday considered very valuable national relics. To continue the tour we move to visit the Wat Lokayasutharam; the majestic place with a mysterious past as its origins are still unknown. This temple host the reclining Buddha image constructed following the unique style of Early Ayutthaya Period. Let’s now step on board on the River Sun Cruise. 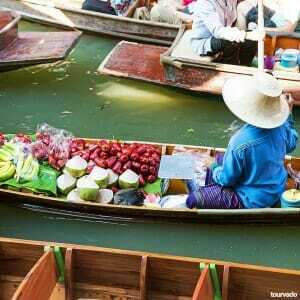 Embarking from Wat Chong Lom Pier enjoy on board the delicious Buffet Lunch meal served in the luxurious cruise boat. Enjoy your afternoon Coffee Break witness and sightseeing the Chao Phraya River and the beauty of the Thai rural life along the riverbanks from the cruise deck or from the comfort of the air-conditioned cabin. 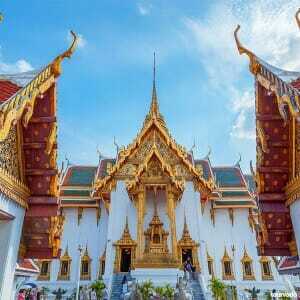 Arriving in Bangkok we do not stop the sightseeing as we still have to see passing by the majestic Grand Palace and Wat Arun (The Temple of Dawn) before to arrive at the River City Complex Pier Si Phraya. 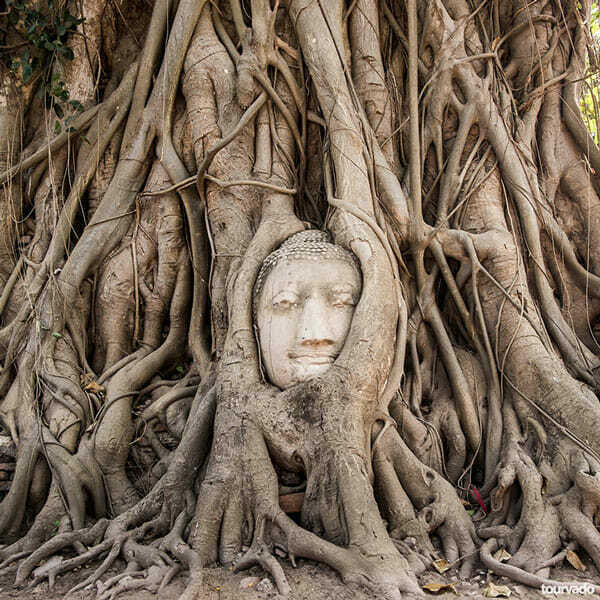 Ayutthaya was the famous Thai capital for over 400 years so you will witness the glory of the amazing ancient capital through all its temples and palaces ruins. 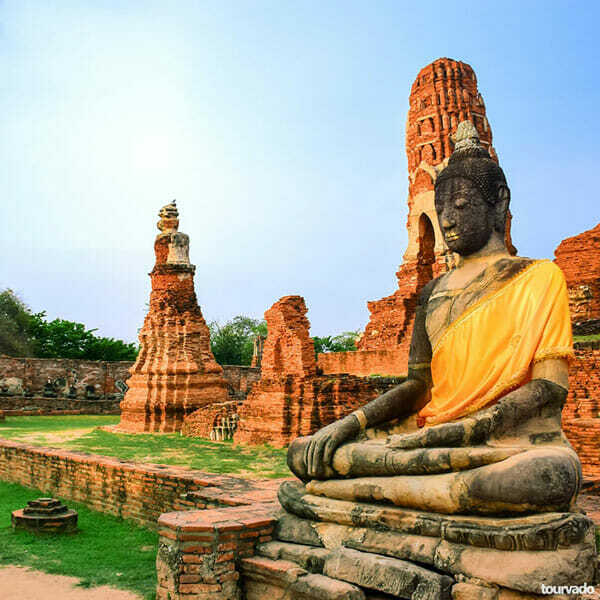 This wonderful Ayutthaya Day Trip from Bangkok brings you a real combination of ruins and remaining historical attractions. 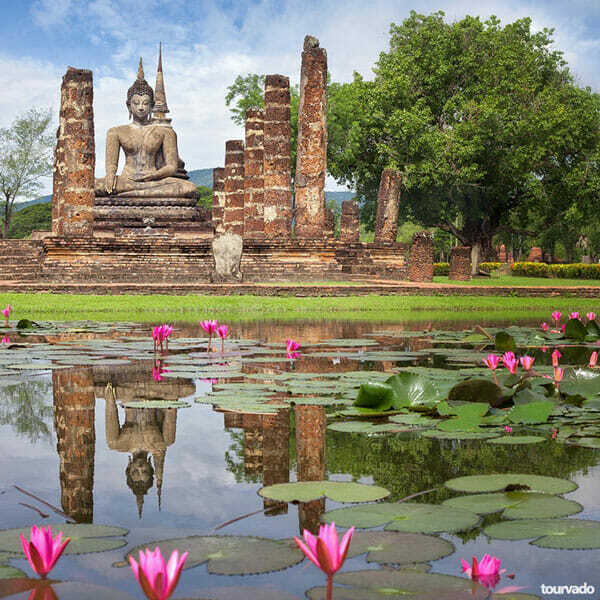 Throughout the entire Ayutthaya by River Sun Cruise tour our expert guides will always explain the history and legends behind the respective attractions which have all been carefully chosen to show you a real picture of the past and the present as well as to highlight for your joy all the natural beauty of Thailand’s rural countryside. 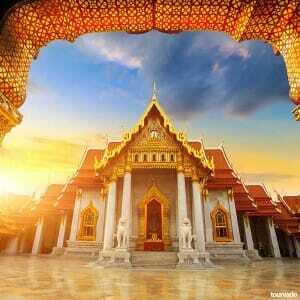 Return transfers are included in your Bangkok Hotel.